I am a practitioner and student of dialogue, systems thinking, design, transformation and communications. I am sure there's more that could be said about me, but not all of it is appropriate for polite company. I have an extensive website beyond these pages, which you can gander at to get a richer notion of who I am. Obviously, none of this work could have been if not for the works of L. Frank Baum, creator and author of the Oz books, short stories, & c.
Additionally, W. W. Denslow and John R. Neill provided wonderful and marvelous illustrations and typography for Baum's Oz books, which are inspring and insightful. This is a work in progress. I will continue to add to and revise these pages as I progress through the original Baum materials and as I surface new connections and reflections on the work. Also, I welcome thoughtful comments, questions and criticism if you would like to contact me. Yeah, it's about modern western magic in the framework of the Oz stories, as a modern myth that is in the public domain. There is a great deal of work that has been done on Oz as metaphor, allegory, myth, & c., but surprisingly little has been done on Oz as magic. Even more, few of the published books rest on the original materials, instead they are primarily based on the classic MGM cinema version of the story and only occasionally reference the original story as an aside. These pages are an exploration of the connections and patterns between the original Oz stories and the work of magic, in both theoretical and practical aspects. Moreover, the experience of Oz is one of magic. Oz is a place where people come into their power and develop skills in the appropriate and right use of power. In late 2006, a group of Reclaiming witches got together to plan for the 20th year of British Columbia Witch Camp and selected the theme "Wizard of Oz." Because I was working on completing my thesis, I was looking for something to do that would help me avoid doing my work. Of course, I immediately purchased and read a number of books about Oz, and also started to read the original stories by Baum. As I made connections and noticed patterns, I started collecting notes for myself and posting them to the Witchnet bulletin board. As the collection of notes grew, I created the first version of these pages to make this information more available, and have continued to add to these pages and revise them as my study has continued. This is first and foremost a hermeneutical study of the original Oz materials authored by L. Frank Baum. It is my intention to include more phenomenological and ethnographical material as I am able, but at this point these pages are almost, if not, entirely a search for meaning through careful and continued engagement with the source materials. I began with the assumption that the original materials could provide meaning and myth for spiritual and magical practice. The primary lens I have used is that of modern pagan witchcraft in the Reclaiming tradition. I have included thoughts from the wider modern western magical tradition, folkloric studies, mythological and depth psychology, and my own original work on dialogue. The stories were a product of their time, and I am a product of mine. There will be an unavoidable bias toward the western cultural tradition as I have experienced as my own context. I should also express that I have been entirely biased toward the materials that have entered the public domain, which includes the original stories and illustrations. I have eschewed, as far as possible, references to any of the Oz material which is not public and freely available. One area in which I lack more than a cursory background is the theosophy with which Baum was familiar, and likely influenced his work with the stories of Oz. I gather that the movement can be characterized by an early neo-romanticism for the western tradition mixed with a universalist stance toward world belief-systems. Except for the central focus informed implicitly by the western magical tradition as opposed to a pre-historic earth-centric focus, that makes the behaviour and aims of theosophy very similar to modern neo-paganism in many ways. If there is such a similarity, an analysis that in structure if not in specific can utilize either metaphor. Further, since I include in my background both of thes foci, I feel I can undertake that analysis effectively. However, I do hope to remedy my lack of specific appreciation of theosophy and related movements, such as antroposophy, by learning more about the theosophy in Baum's life, and learning what theosophists believed at the turn of the 20th century. When and Where can this be experienced? 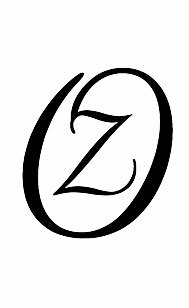 I hope to include more information about when and where the Oz material can be experienced as a framework for magical work, however I currently know of only one upcoming event, and that is the British Columbia Witch Camp for 2007. More information about this can be found online: The Wonderful Wizard of Oz at BC Witch Camp.